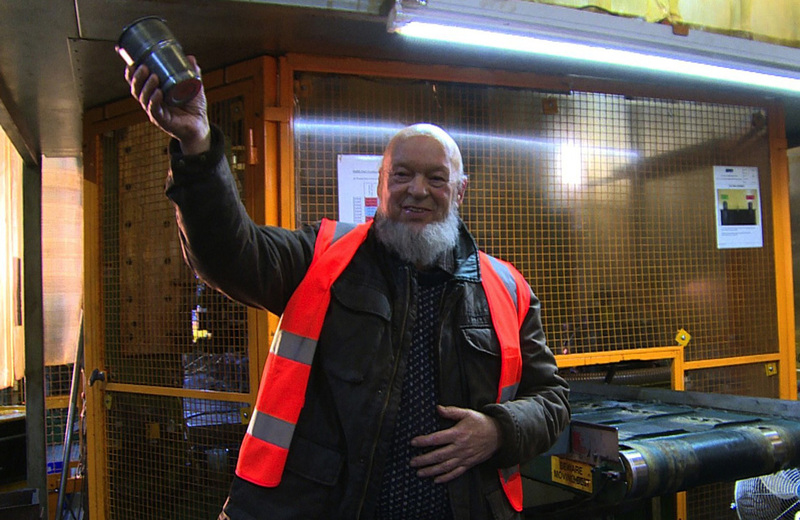 After three years of trial and research, Glastonbury Festival is delighted to launch a sustainable, recycled stainless steel pint cup for use on a major scale at this year’s event. Over 200,000 cups will be in circulation in ten major bars across the site, with customers paying a £5 deposit when they buy their first pint. 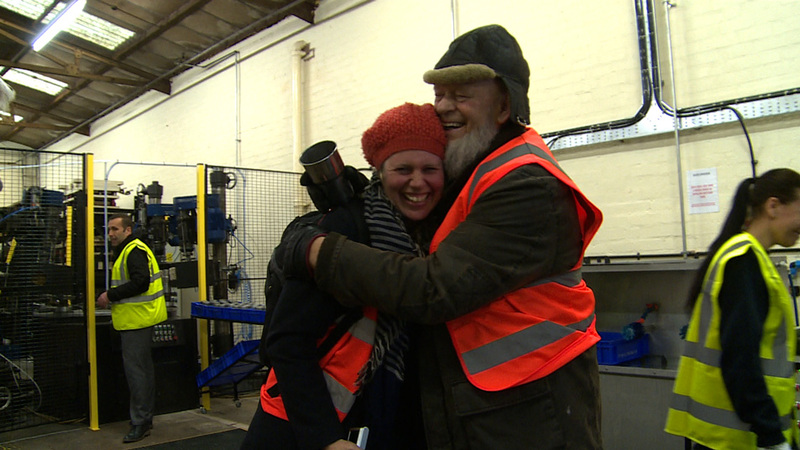 The Festival’s Green Initiatives and Sustainability Coordinator Lucy Smith (pictured with Michael Eavis, above) says: “Everybody said we couldn’t do it with something on the scale of Glastonbury and it has been a major fight to get this scheme off the ground, dealing with everything from weights and measures to crushability tests. 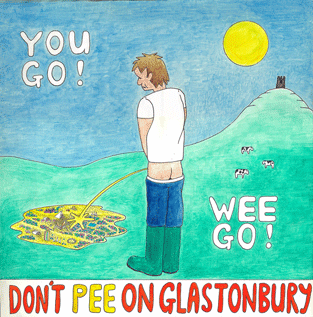 For the Festival, the question of how to reduce the amount of waste – in particular pint beer cups – has always been a challenging one. 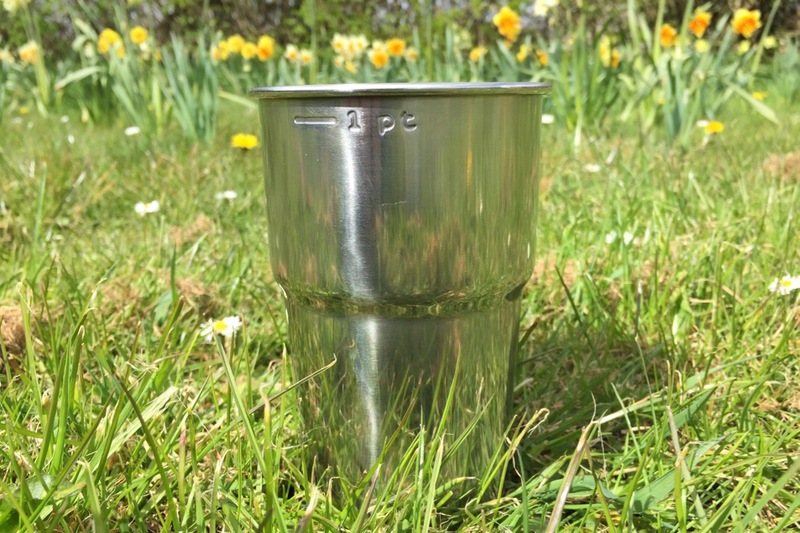 But the stainless pints are the first of their kind and are made of food grade 80 per cent recycled British stainless steel. When Festival-goers need a refill, they will be able to swap their cup for a fresh one. The local support for the cup project extends to Street, where sheepskin and leather manufacturers Owen Barry have been commissioned to provide designer ‘cup covers’ for the project.